Whether you’re travelling abroad for the first time or you're a seasoned traveller, always plan ahead. Learn as much as you can about the country you’re travelling to. Although English is the main language of communication, try to learn a few phrases in the local language spoken in the country that you are visiting. Make sure you know all the possible health risks in the country you’ll be travelling to. Get all the required vaccinations from your doctor if needed. Here is more information about Malaria and Yellow fever. Make sure that your travel insurance covers hospital treatment, medical evaluation and even death. In addition to health risks, be aware of safety risks as well:. Be aware of possible crime in the country that you will be visiting. Try not to visit countries experiencing war and/or civil/political unrest. If you're a South African citizen and planning on travelling to another country, you'll need a South African passport. Apply for a passport well in advance. Application forms are available at all the Department of Home Affairs regional offices and at South African Embassies overseas. any Home Affairs regional office. As a backup, leave a copy of your passport at home with someone you trust or make an electronic copy you can keep in your email account. Ensure that your passport is valid for at least 6 months with enough blank pages. In the event where you're travelling with a minor (any person under the age of 18), there are requirements, which you need to keep in mind. In addition to a passport, South African citizens are also required to have travel visas for certain countries which you may want to visit. Find out what the visa requirements for South African passport holders are. 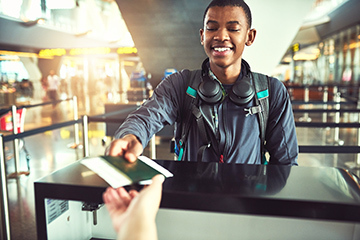 Register your personal details and travel itineraries with the Department of International Relations and Co-operation (DIRCO) before travelling overseas through ROSA (Registration of South Africans Abroad, which is a software program to register online). This information will allow the Department to help you, should you experience an emergency while overseas. Registration is free and open to all South Africans who are travelling, living, studying or working overseas. 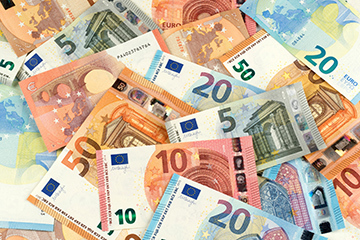 Look up the exchange rate of the currency you will be using on your travels before you. Remember to take enough money for your trip with some back-up funds, such as traveller’s cheques or credit cards. Find out how you can replace your traveller’s cheques and credit cards if you lose them. Notify your bank and let them know where you’ll be travelling to and on which dates. Research your destination(s) and find out if they do take credit cards and whether ATMs are easy to find or not. Investigate phone plans of the country you’ll be travelling to and see if it’s cheaper to buy a local SIM card and use a new number and service provider or opt for international roaming plans. You can also turn your phone on Airplane mode and Wi-Fi to call using Skype or WhatsApp on shorter trips. Download all the apps you’ll need before you travel to avoid downloading charges. Investigate electrical outlets of the country that you are visiting and take a charger or adapter. Countries have different size plugs and voltage. Always lock your luggage, not only to discourage theft but to make sure it doesn’t open during handling. Buy small locks to lock all external zipper pockets of bags. This will also protect you against others slipping illegal substances into your luggage. Little plastic cable ties are extremely useful, as they have to be cut to be opened. If you’re planning to drive in a foreign country you need to apply for an international driving permit (IDP). An IDP is issued by the Automobile Association of South Africa. Your licence should be current and valid. It will help to know the local traffic laws of the country that you plan to visit. South African drivers’ licences are recognised in SADC countries (Angola, Botswana, the Democratic Republic of Congo, Lesotho, Madagascar, Malawi, Mauritius, Mozambique, Namibia, Swaziland, United Republic of Tanzania, Zambia and Zimbabwe). If you’re travelling by road it is advisable to have the original car registration documents and a certified copy with you at all times. Find out where you can get the temporary import permit for the car/trailer, before the trip. 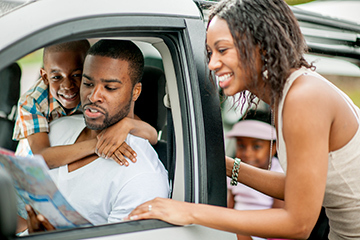 Make sure that the car insurance will be covered in the country that you’re travelling to by getting a written confirmation from your insurer.